Free image hosting is a great alternative for anyone in need of a convenient space for online photo storage. You get to store photos online for free. Not only do you get to host images at absolutely no cost, most of these free image hosting websites provide tools for sharing your photos quickly and easily. The trust is that images can take up a lot of digital space. An average camera phone produces at least 500kb of data for every snapshot. My iPhone can produce a 4mb photo without sweating. Now imagine if I have to store over a thousand pictures on the device? The story is a bit different for bloggers and web publishers. Blog posts need images. But the problem is, images can use up a lot of bandwidth and space on a web server. In order to save on these limited server resources, it’s not a bad idea to seek a free image hosting website. Another benefit of online photo storage is that it ensures that there is a backup copy of every photo uploaded online. I wish that I had such an opportunity 20 years ago. So many fun memories have been lost because image hosting services were almost non-existent. So, are you in need of free photo hosting website, or you simply want to create an online photo album at absolutely no cost? You are in luck. 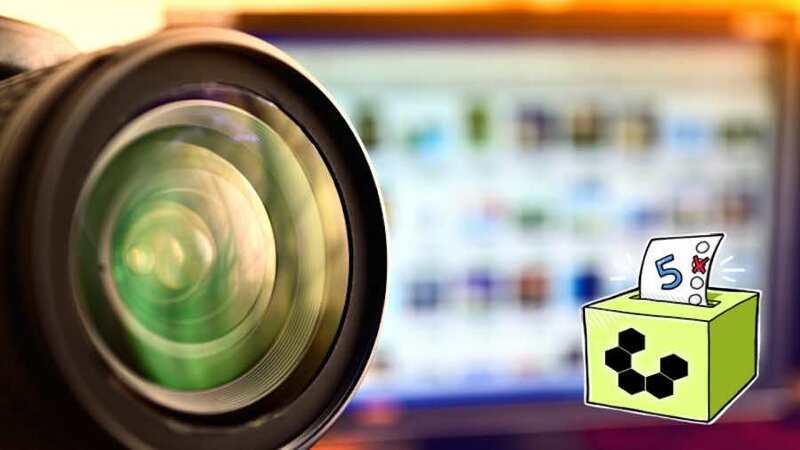 We have here the list of the best free photo hosting sites. Not only do you get to store your photos online, some of these free photo hosting websites also include image editing capabilities and digital photo effects for transforming your pictures. You also get to showcase your images in good-looking galleries and share those beautiful moments with the rest of the world. On this note, here are the 20 best sites that offer free image hosting services and make the process of uploading and sharing your images easier than ever. It is one of the oldest & widely known free image hosting site. A storage capacity of up to 1 Terabyte which holds files from 500,000 to 2 million copies. Image uploading size of up to 200MB per photo. Image quality sustenance. It doesn’t distort the uploaded & downloaded image quality. Flickr lets you organize your pictures into collections, sub-collections with an option of using tag keywords in single or photo batches. Your followers and friends can also be able to tag in the photos as well leading to a massive database of key-worded files. A user can search their library by people tags or keywords and sort them by dates. If you are a photographer who is seeking a more public audience, set your account to public so that your images are available for public viewing. In case you want to use this site for personal benefit and limited audience, Flickr has a private setting option. The site’s display is in form of a minimalist grid with a slideshow option in addition to a new explore feature which helps users to search for new pictures & photographers to follow. This free image hosting site has a beginner friendly image editor for new users with Instagram-like color filters and basic editing tools. In fact, a user has the opportunity of uploading images from other applications via email, mobile device, web or any other image hosting platforms. Flickr is, indeed, one of the best image hosting site which allows you to edit your photos, create albums and share them with other social networks. Google Photos free image hosting is designed with unique features, although it is commonly used to natively back up & host images, rather than hotlinking them to other sites. It is one of the most useful free image hosting resources you can ever use, mainly because of its powerful and automatic backup feature. If you have a Google Account, setting up Google Photos is easy. 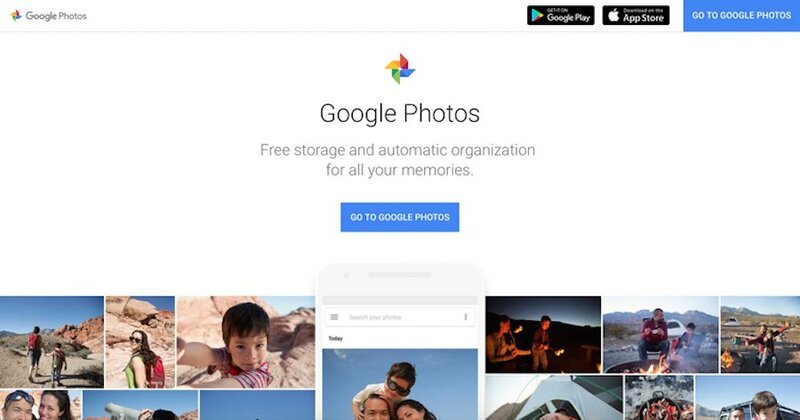 You can access free Google Photos via the web or by downloading the app from Google Play and automatically upload all the photos that you take with your device. The images will be synced across your accounts such that your stored images can be accessed from anywhere. With Google Photos, you can edit and organize your images according to places, people or things & share them online. This free image host gives you access to different types of photo apps which you can use to enhance images e.g. filters, gif converter, tagging as well as stitching panoramas together. It is also designed with an inbuilt sorting algorithm that organizes photos based on events or moments. Its image storage capacity is unlimited when using a smartphone. Google Photos is the best site for uploading, editing and organizing large numbers of images with high quality. It was created as a successor of WaffleImages which was primarily designed for Reddit and SomethingAwful. This free image hosting site is Redditors favorite. With Imgur, you do not need to sign for an account as you can still upload high-quality images without signing up for an account. It supports JPG, JPEG, GIF, PNG, TIF, TIFF, APNG BMP, PDF and XCF image formats. Upload photos and animated GIFs from your computer to Imgur and share them on your favorite social network via a unique URL. If you want to use it on your mobile device, download the official Imgur app. It has a Maximum image size/storage capacity of 50 MB for non-animated GIF images & 200 MB for animated GIF images. Imgbox has unlimited user storage & zero expiration date for uploaded images. You can upload Files of up to 10 MB in size in JPG, GIF, or PNG file format. Imgbox supports image galleries, direct linking, drag & drop uploading, and multiple simultaneous uploads. In addition to direct links, you can also get HTML & Message Board Friendly codes. Just like Flickr, 500px is a popular free image hosting site that is commonly used by photographers to store and share photos. It’s sleekly designed with plenty of artistic inspiration. 500px allows you to upload pictures from Android, iPhone, Computer or import them from Facebook, Dropbox and Instagram etc. It offers great Gallery Features which allows users to curate their favorite snaps on the site and convert them into personal collections. 500px has no storage restrictions. As a free member, you can share up to 20 photos in a week. It is a free cloud storage provider that allows users to store all types of image formats. After successfully uploading a picture to Dropbox, you will get a shareable link to a single photo or album folder. Dropbox has a variety of very powerful mobile apps which you can use to upload, manage & share your photo files right from your mobile device. In case you want to view your images later with no internet connection, tap the arrow beside the file name to make it available for offline viewing. Dropbox has a Maximum image size/storage capacity of 2 GB and an extra storage opportunity if you invite other people to join the Dropbox Community. With Use, you can upload images of any size for an indefinite period of time. They, however, have a maximum of 8 megapixels display when showcasing photos. A person can upload up to 100 images at once and after successful uploads, one can send the image links to the view gallery or email as direct links are not given. Create a free Use account to retrieve uploaded images, remove them from your account or change your privacy settings. Not only do you get to store your photos with Photobucket, you also have the option of creating and enhancing photos that you upload on the site. PhotoBucket allows you to turn your memories into canvas prints, home décor, canvas posters, framed prints or personalized gift. You can upload and store photos in their original states or edit and organize them. You can also host animated GIFs. The site has a 2GB storage capacity. This site supports multiple image uploads all at once. It has a single file limit of 10 MB and the images have to be in JPG, PNG, GIF, TIFF, BMP, PSD, or PDF format. A user has an option of also importing images from URL. Before uploading an image, its URL can be shortened or resized without distorting its quality. After a successful upload, a user will be provided with HTML and BBCode links. Uploads.im has no storage restrictions and the duration of file storage depends on user preference. Note that you can’t delete a photo once it’s uploaded to this site. It is a very simple website with an easy to use module that offers users free image hosting. You can resize your images using the selections from the drop down menu and upload them. PostImage has different expiration options depending on the user desires. A user can upload multiple images all at once & resize them for the web, email, avatar use and message boards. PostImage has no specific file size/ storage restriction. ImageBam supports unlimited storage in form of JPG, PNG and GIF files which should all be under 10 MB. Alternatively, you can upload a ZIP file containing your images as long as its archive is less than 250 MB. With ImageBam, there is an option of image editing, gallery organization and adding tags. This website does not support Direct Linking. 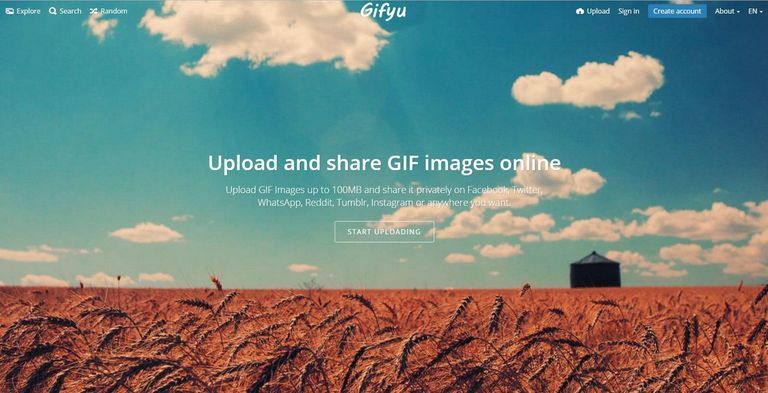 GifyU is a free image hosting site that supports multiple image uploads and a user, therefore, doesn’t have to upload single files. This hosting site supports images in BMP, GIF, JPG and PNG formats of not more than 100 MB. After uploads, direct links, as well as BBCode and HTML codes, are provided to the user. Create a free GifyU account & create private or public photo albums. TinyPic is a PhotoBucket product which bears resemblance to Imgur & Free Image Hosting in terms of design. It is a very reliable and easy to use image hosting site that offers users a simple and faster way of uploading images without the need of creating a user account. Choose the file you want to upload, add tags, resize it if you wish to and upload it. Users are provided with links to complete uploads which they can use to download or share the photos.This links can use to share the photos anywhere. You can also tag your photos. Adding tags will help users who use Tinypic’s search function to find relevant photos. It has a Maximum image size/storage capacity of not more than 1600 pixels for both height and width and a file size of not more than 100 MB. You can also upload videos of less than five minutes duration. Free Image Hosting is very similar to Imgur although it has a trendy layout design & a convenient URL shortener feature. You don’t need an account to upload and store images on Free Image Hosting site. Free Image Hosting has an image storage capacity of 3 MB and you can upload individual photos and link them to other web and social sites. ImageVenue site hosts JPEG images of up to 3 MB. One can resize images according to preferences without the image quality and aspect ratio getting distorted. It is commonly used by Bloggers, eBay sellers and message board users to upload and organize a large number of photos. ImageVenue has a maximum image storage capacity of 3GB per month. ImageShack has a 30-day trial and a non-premium account option to check out its premium features. Its design has a striking resemblance to Pinterest and images are usually showcased in pinboard style layout. With ImageShack, you can upload as many images as you want and create your own album. You have an option of organizing your files according to tags, share photos with other users if you like or make your account private. ImageShack has a storage capacity of 10 GB per month for the free trial/non-premium users. It is commonly used by business organizations due to its large storage capacity. You can upload large numbers of files, organize them & share them as single photos or albums. Before uploading your image on ImageFra.me, first you need to sign up and create an account. You have an option of uploading multiple images of less than 2 MB at once. ImageFra.Me lets its users create albums or make uploads private as long as the file type is in GIF, PNG, JPG BMP or PDF format. HTML links & direct URLs to your files are provided after uploading. ImageBin allows users to upload single JPG, PNG, GIF, JPEG or BMP images of less than 3 MB at a time. One has the option of adding image tags, title, and thumbnail width adjustment and choose the duration they want their images to stay on the site. ImageBin has multiple expiration dates. You can choose 1 day, a week, and a month or even completely disable the expiration date so that your images are forever available. After your image gets uploaded on the site, a direct link is made available in case you will need to download an image later. This image storing site has no any hosting expiration date, no bandwidth limitation and accepts multiple image uploads at once. All the uploaded images have to be in JPG, GIF or PNG format and less than 3 MB. Before uploading your images to ImageUpper.com you can optimize them for faster downloads by stripping them of name tags & other unnecessary things. Stripping of the images of all the unwanted tags will not affect the image quality. Although ImageUpper.com doesn’t provide users with direct image links after uploading, you can right click on the image you want and copy the URL for linking. IMGHST is one of the easiest free image storage sites to use. You do not need to create a user account and the website is designed with simple and easy to navigate design. You can drag and drop multiple files at ago (up to 10 files) and store them in the IMGHST website. Each file has to be 10 MB or less. Once your photos are fully uploaded, you will get a direct link to each one of them. Free image hosting can be an ideal solution for anyone unwilling to shell out the basic $5-20 a month that a low-end web hosting will probably cost. That’s why some would rather opt for a free WordPress hosting when the plan is to host their images on their own site. Of course, free image hosting isn’t without its downside but most of these cons can be overlooked. Most of these online photo storage sites are also great photo sharing sites. This implies that You get to kill two birds with one stone. Simply visit and try out any of these free photo hosting sites and return to share your experience with us. But be rest assured, these ones are the best free image hosting sites you will ever come across.